From Corvallis: Take Hwy 34 to 99E (Pacific Blvd), turn left (north) and go 2.2 miles. 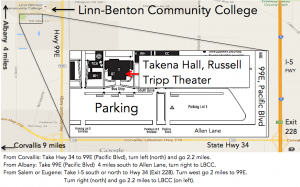 From Albany: Take 99E (Pacific Blvd) 4 miles south to Allen Lane, turn right to LBCC. From Salem or Eugene: Take I-5 south or north to Hwy 34 (Exit 228). Turn west go 2 miles to 99E. 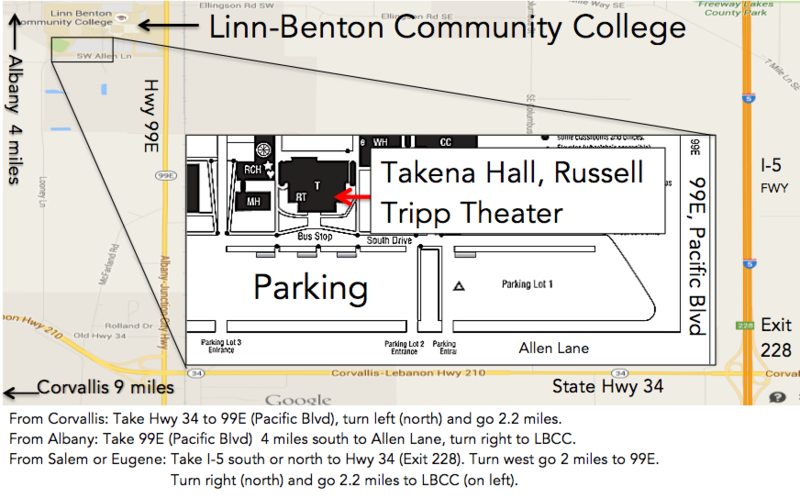 Turn right (north) and go 2.2 miles to LBCC (on left).